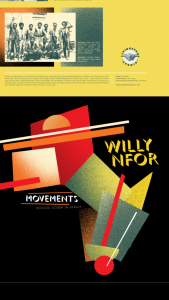 It is apt that our next release is Willy Nfor’s Movements is our 7th release. Willy is little-known master bass player who left his country for Nigeria at 20, formed the Mighty Flames with made a name for himself as a session player played with Bongos’ The Groovies, William Onyeabor (Crashes in Love), Odion Iruoje at Phonodisk where he played on several releases, left for Paris, became a sought-after session player, formed Ghetto Blaster (with Fela Kuti’s Egypt 80 alumni), joined Mory Kanté’s band toured the world on the back of the Global Hit record, Yé Ké Yé Ké. Unfortunately, he died prematurely of a cancer in 1998 before the world could really know him. 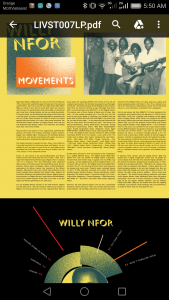 This compilation (from three rare Nigeria-produced LPs; Mighty Flames’ Willie Nfor, Feel So Fine, My Turn, two of which have never been sold on Discogs) capture Willy’s vision of a free world where love, music and breaks migrate freely. His afro-boogie nods to Bootsy Collins and Louis Johnson (The Brothers Johnson) but it invariably afro and inalienably Willy’s music, a space funk with deeply rooted rhythmic grooves that has made these LPs highly sought-after by music aficionados and selectors worldwide. So it is with great pleasure that I present this vinyl-only release to you. Tentative Release Date, 7th Dec 2018 (TBC). 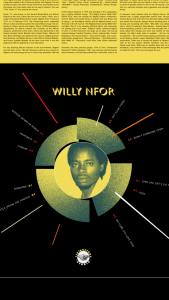 Official reissue of tracks from Willy Nfor’s three Nigerian Disco Boogie albums, audi-restoration by Colin Young and Dan Elleson. Premastering and remastering by Dan Elleson. Design by Javi Bayo. Out Late Fall 2018. Cameroon has a tradition of great bass players, names such as Jean Dikoto Mandengue (of Osibisa fame), Vicky Edimo (Black Blood, Manu Dibango, Gibson Brothers), Alhadji Toure, Basil Barap, Armand Sabal Lecco, Felix Sabal Lecco, Raymond Doumbe, Guy Nsangue, Etienne Mbappe, Francis Mbappe, Richard Nguini, Jay Lou Ava, and Richard Bona. He was in that tradition. His Nigerian career was not well distributed outside Nigeria so that didn’t help but when he got to Paris, he quickly became one of the hottest African musicians on the circuit, playing with Mory Kante (for whom he played on three albums and enjoyed a global hit, Yeke Yeke which took them touring around the world), Tulio de Piscopo, David Sancious, Charlelie Couture, Mbilia Bel (with whom he toured Southern Africa), Kante Manfila, Manu Dibango, Aicha Kone and a host of others. Willy was special, before ending up in France, he played in the East of Nigeria and in Lagos both as a session man and as a member of The Mighty Flames, Sonny Okosun’s band, and Bongos Ikwe’s Groovies. The tracks on this compilation album are selected from three albums, Mighty Flames’ Willie Nfor, Feel So Fine and My Turn. 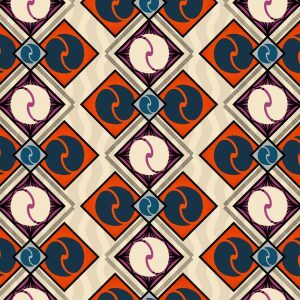 All highly sought after album of quality Nigerian Boogie Funk. Migration has become one of the biggest global news items in recent times. Willy Ngeh Nfor was a migrant before the word became so popular and tinged with a bad connotation. Music travels, men travel. Willy made music to travel. His music allowed him to travel. His choice of Nigeria as a destination and of English as a working language was strategic. This is what we hope to honour by virtue of this release. A celebration of music as a space capsule and of man as a vector of creativity, inventions, love and energy. Everybody migrates at some point in history. We need to celebrate humanity and free the migrant from bad energy, bad choices and a bad image. So many reasons to give thanks to the Creator for an amazing 2017. 2018 is prepping up to be an even more impressive year. I will let you know as we get into things. 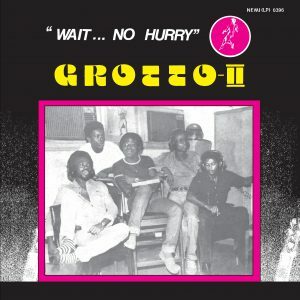 We are elated to announce our first release post-Strut, Grotto’s second album, Wait, No Hurry… Its a mature afro-funk classic of the rarest calibre (I don’t own a copy, I had to get one from Uchenna Ikonne to create a master copy).. 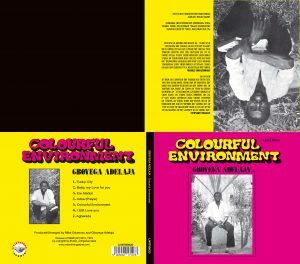 This amazing album was made by some of the best musicians on the 70s Lagos live circuit. Toma Mason Jnr had evolved into a very capable and interesting bass player, highly sought after and rated. The rest of the band had a developed a chemistry from playing live on a steady basis. This can be heard clearly on the funk classics like Wait… No Hurry, Who Gives A Damn, Bad City Girl and Freestyle. Its a very balanced album which provides a great listening experience. Enjoy!